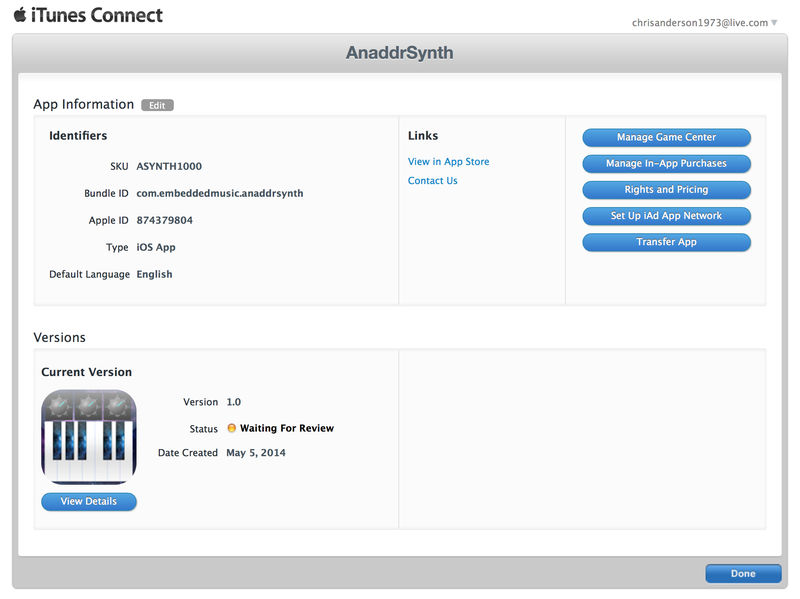 I just uploaded my app for submittal to iTunes today and so the wait begins. I’m excited to see the app get ready for release and I’m also happy to have a little more time to do other stuff! Truthfully, I had no idea what to really call this app past something with “synth” somewhere in the name. So, I’ve called it “AnaddrSynth” because it will have lots of additive pieces to it, both audio-wise and interface-wise, in the future.